Salut Ã tous mes fans de France! Merci pour votre visite. Le premier livre de ma nouvelle sÃ©rie, Leviathan, sort en publication aujourd’hui en France. Cette trilogie a des merveilleuses illustrations de Keith Thompson. (Jetez un coup dâ€™oeil ici.) J’espÃ©re que cela vous plaira! Cliquez ici pour gagner une copie gratuite. Okay, that was a shout-out to my French fans. Leviathan comes out there today, so I wanted to say hi. But there’s news for you anglophones as well: More art from Behemoth has just been released into the wild! Just check out this post on io9. In other news, the Miami Book Festival has been added to my tour schedule. So see you Floridians on Sunday, November 21. Also added is Lemuria Books in Jackson, MS on October 13. Note that tomorrow is fan art Friday, with much awesomeness in store. And finally, here’s the poster for my Pittsburgh event. See you all Pittsburghian fans in three weeks! Morgan- Please spread the word in France! I read Leviathan a few days ago and I’m delighted, as ever! Most of my young customers already know your books, and I’m sure they’ll love this one too… and the others will discover! Arts! I love looking at new artwork, it’s splendid. But in the lower one…is that a dead body?! Agaspith! New arts! I can’t wait until Behemoth comes out so I can see them in more detail! @Amy- Looks like a dead body to me. I can’t wait for the art tomorrow! darn i wish i could read more carefully! woops! Holy cow! I love this artwork! I wish I could draw things that awesomely terrific with so much detail! If I did that it’d just look like a bunch of smudges. @Amy & Robyn La, actually I think I spy TWO dead bodies. One’s just on the edge being dragged by another guy, but then again, it could just be a hostage or something. Yay! Your finally coming to Florida! Woo-hoo! YES YES YES!!! Thank you Scott!!! w00t Miami!! I’ll be there!! Still not my city, oh well. But… Yay! Art! And Dead Bodies! I am excited! OCTOBER 5TH!!!!!!!!!!!!!!!!! 19 days left, not counting today! Thank you for posting more Behemoth, Scott! Correction: 19 days not counting today left in MY time zone. yup, definatly dead. slightly disturbing. oh well, don’t judge a book by it’s sneak peeks. 23 more days to go. It doesn’t want to be a link, so you will have to Google it. The annoying comments will continue until i get a plausible answer for why you are not coming to Seattle. I apologize to all the blog readers who are also bothered by me, but he is completely ignoring the entire northwest quarter of the united states! and the Vancouver CA thingy is over American thanksgiving! this is an injustice that i feel i must resolve. oh sure, now it’s a link. you can stop me any time scott. all you have to do is answer my question. I’m not trying to be an annoying attention seeker, i just want an answer. please? Hahahahahahahahahaha hhhhhhhhhhhhh I am going insane. I’m soooo excited for tomorrow!!!! Your still coming to Birmingham, Alabama right??? If your goin to Flordia then you’ll be going right over it!!!!!! My roommate studies french, and I showed her the first paragraph of your post. She was A) thrilled she could read it perfectly and B) impressed with your decent french, so good job! She wanted to know if you used a translator, or if you studied french at some point? I didn’t remember you ever mentioning in your blog that you studied french, but I could definitely be wrong. Wish I could see you on your tour, Scott. 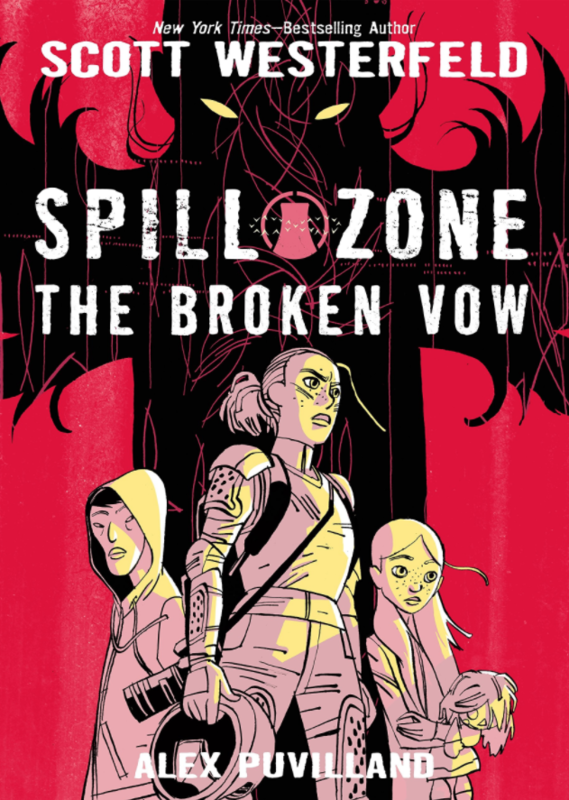 Maybe the for your last book…Ziz, right? Did you decide to stick to the popular trio despite the lack of “awesome oblivion” that Ziz brings? I live in France but I just resently moved here from America and have read Leviathan. I am SUPER excited for the second book, my friend back in America probably will get it for me and sent it to me. I heard you were going to be in Nantes, are you signing books there???? 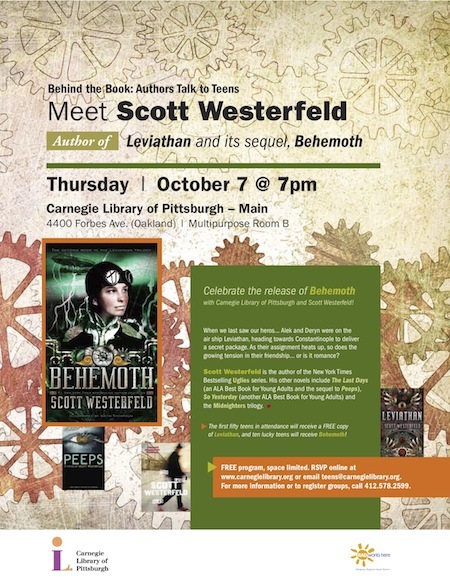 I would like a signed copy of Behemoth (if I get it in time)!! whoa! Depuis le temps que je l’attendais! Deja quasiment Ã la moitiÃ©! Il est INCROYABLE! haha i just recently read Leviathan and loved it, and since i barely read it, it wont be long now for me to wait for the Behemoth.